It is far too often that I have found myself watching, with wistful regret, this year’s darling of the Big 12 (is it still called that?? ), Iowa State. That is right, the institution of higher learning that gave us Marcus Fizer and Jake Sullivan is officially back!! I know, I know, we all just need to try and contain our excitement. Don't let the polo fool you, The Mayor has been all business in his return to Ames. 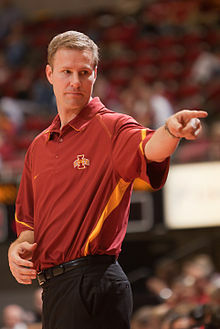 The revival in Ames, Iowa has been interesting to watch because the architect of that master plan is former T-Pup alum, Freddie “The Mayor” Hoiberg. Unfortunately, as cool as it has been to watch The Mayor give Ames his version of a bailout, that revival has also been incredibly bittersweet. You see, if The Mayor is Ames’ architect, former Gopher Royce White has been its do-it-all general contractor. He is one of a handful of players throughout college hoops to lead his team in EVERY the major statistical category. And, of that elite group, he is likely the only one of those players to compete in a major conference. This is not Sister Mary Margaret’s School of the Blind that he is torching. We are talking about nationally ranked teams like Kansas, Baylor, and Missouri. Legit squads. Except, in some of those games, he is making it look like he is playing Mary Margaret’s squad. His level of dominance only makes it more frustrating. You see, a tick more than two years ago, Royce was the highly touted freshman, coming off a Mr. Basketball and state championship at Hopkins, who was going to be the building block of the Gophers’ hoops teams of the future. Royce was one of those transcendent players who had the handle of a savvy point guard but the footwork and post game of a seasoned big man. In fact, if there was a criticism of Royce, it was that, at times, he looked like he was coasting on the court. He let his greatness devolve into occasional bouts of apathy. A trap that restrains great players from ever truly tapping into their greatness. That probably should have been a clue. You may or may not know the rest of the story, the following is a quick recap. In the fall of 2009, Royce got into a series of legal brew-ha-has. Unfortunately, the former university administration was fresh off the Gophers football players involvement in certain unforgivable sexual violations and so Royce’s situation was thoroughly mishandled. That mishandling only aggravated, and eventually broke, an already troubled young man. The final straw was a YouTube video that Royce posted in the wee hours of the morning (is it ever a good idea to upload a video outside of business hours?). Royce’s departure left the Gophers short one of its prized blue chip recruits. Interestingly enough, last year’s squad showed promise and, at the very least, had the average rube (present company included) thinking that if a player or two made “the jump,” the Gophers would be a tough out. There was a moxie with this bunch. Then, early this season, the Gophers Big 10 Player of the Year candidate (and the guy who would have been the perfect running mate to Royce), Trevor Mbakwe, went down with a season ending knee injury. A brutal turn of events. Tubby has not had much to smile about this season. 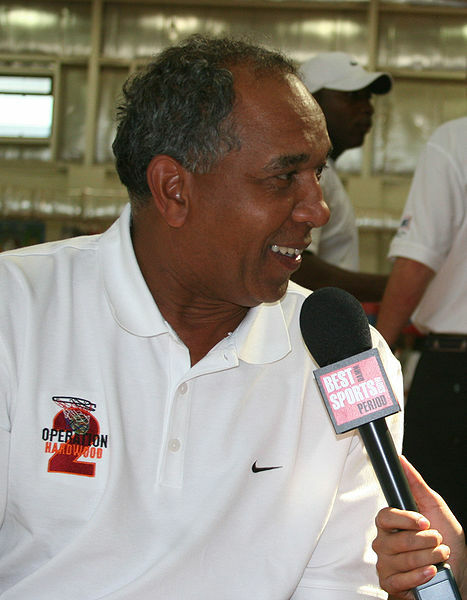 Imagine his smile if he had a starting frontline of Royce and Trevor. Fast forward to tomorrow’s important dust-up with the rival Badgers, instead of starting a frontline with the bruiser (Mbakwe) and the do-everything-guy (White), your Minnesota Golden Gophers are experimenting with a three guard line-up that would make Princeton proud. Now, don’t get me wrong, Tubby has done an admirable job considering the circumstances. Though, I suppose we cannot give him too much credit because he definitely has to shoulder some of the blame for pushing Royce into The Mayor’s waiting arms. The Achilles heel of this year’s squad has been the inconsistent play of our frontline. Our “big” is a true seven footer who has never met a fade-away jumper he did not like. All seriousness aside, if you look close enough, you can almost see Ralph fading away when he grabs a rebound. Finally, our “power” forward, a cat who is probably one of the best pure dunkers in the Big 10, is unable (or afraid?) to attack the rim with the authority commensurate with his skill level. If the Gophers are going to make any kind of late season push towards the NCAA NIT tournament, it starts with the frontline. Whether that means continued improved play and run for Elliot Eliason (did you know he is from Chandra, NE??) or the re-discovery of a post game for Rodney Williams, our front line is key. Our guards can keep us in games, but, it will be our front line that wins us games. Unfortunately, the Gophers do not have anymore time to wait for that push. Our toughest part of our schedule is here. The Badgers sport one of the more balanced front lines in the Big 10. All-Ginger captain Mike Brusewitz and his band of jump shooting seven footers pose a serious test. If our frontline can rise to the challenge, it could be the beginning of a nice run to a post-season appearance. If not, we will all be left wondering what could have been. This entry was posted in Badgers v. Gophers and tagged Ames, Big 10, Big 12, Chandra, Elliot Eliason, Fred Hoiberg, Golden Gophers, Iowa State, Jake Sullivan, Marcus Fizer, Mike Brusewitz, NCAA Tournament, NE, Princeton, Rodney Williams, Royce White, Trevor Mbakwe, Tubby Smith, Wisconsin Badgers. Bookmark the permalink.